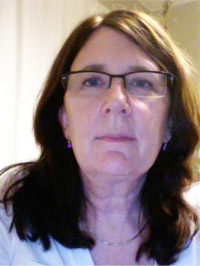 Dr. Leslie Kapner is an Adjunct Assistant Professor at the USC Rossier School of Education. She teaches in the Master of Arts in Teaching program and focuses on preparing elementary teachers to meet the needs of diverse students. Dr. Kapner previously held the position of Teacher Performance Assessment Coordinator at USC Rossier, where she supported staff, faculty, and students, through successfully integrating, assessing, and understanding the elements of the Performance Assessment for California Teachers, and the new student teacher performance assessment (edTPA). She was a member of the National Council for Accreditation of Teacher Education (NCATE) Committee that supported USC Rossier’s successful application for accreditation. Dr. Kapner also participated in the research and design of USC Rossier’s upcoming on-line EdD program. Besides her expertise in performance assessment, and elementary education, she is also an expert in the areas of teacher dispositions, program development, anti-bias education, cultural awareness, and educational equity. Dr. Leslie Kapner began combining her interests in curriculum design, diversity, and teacher education while still a teacher in the Los Angeles Unified School District. She co-wrote and co-taught a four-day training for teachers, “Focus on the Multicultural Classroom”. She also collaborated with Human Rights Watch in designing a training for LAUSD administrators on LGBTQ issues. Since that time, Kapner has designed, implemented, and directed a credential program for intern teachers at UCLA Center X. In conjunction with UCLA Extension, she also designed a pathway for general education teachers to earn a special education credential. Kapner co-authored Making Connections: Anti-racist Pedagogy and Social Justice while at UCLA, and her dissertation topic was: Assessing Dispositions Towards Diversity in Math and Science Submissions of the Performance Assessment for California Teachers. Dr. Leslie Kapner’s career began in inner city Los Angeles, and urban education has remained at the core of her professional life. She has been an advocate and an ally for students as a teacher and as a teacher leader at the local, state and national levels. She credits her own education for the ability to view educational issues from a systemic perspective. Dr. Kapner received her Doctorate in Education from the University of Southern California, her Masters in Social Work from Washington University in St. Louis, and her Bachelor of Arts in Sociology from Brandeis University in Waltham. She also holds a California Multiple Subjects Teaching Credential, and a Certificate of Eligibility for the Administrative Services Credential.